India are set to play Sri Lanka in the first match of the 2018 Nidahas Trophy on Tuesday. India go into this game as the favorites. It is a three team T20I tournament with the third team being of Bangladesh. 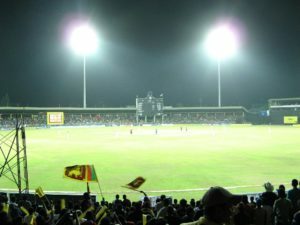 The tournament is being played to mark the 70th year of Sri Lankan independence. India have gone with largely a second string squad for this tournament while Sri Lanka have named a strong squad. India are in a rich vein of form after a largely successful tour of South Africa. They will be pretty confident going into this tournament. Sri Lanka too are in good form after the successful tour of Bangladesh earlier this year. But they know it will be a whole new ball game against India. Sri Lanka had a disastrous tour of India last year and specially the T20I series in which they were whitewashed. All in all it should be a good game on Tuesday as both teams will give their all. Sri Lanka have dropped Niroshan Dickwella and he will be replaced by Kusal Perera. While Angelo Mathews will not be available as due to injury. As for India, they have a lot of options and will field their strongest XI on Tuesday. Sri Lanka XI : Tharanga, Gunathilaka, K. Perera (WK), Chandimal (C), K. Mendis, J. Mendis, Shanaka, T. Perera, Lakmal, A. Dananjaya, N. Pradeep. India XI : R. Sharma (C), Dhawan, Raina, M. Pandey, KL Rahul, D. Karthik (WK), V. Shankar, A. Patel, S. Thakur, J. Unadkat, Chahal. I expect India to win this game as they have been playing some good cricket in recent times.